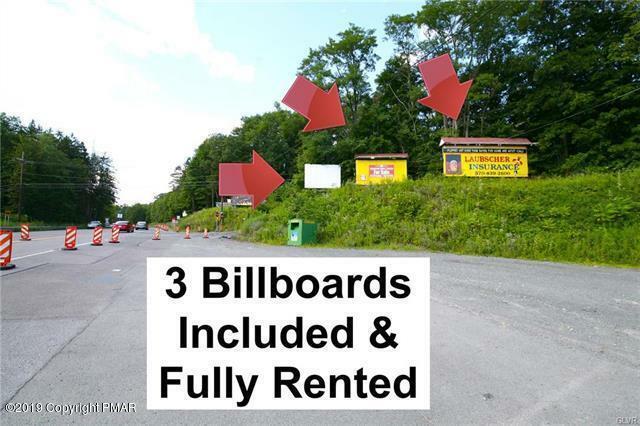 LEASE TO OWN @$3,750/MO toward purchase price. 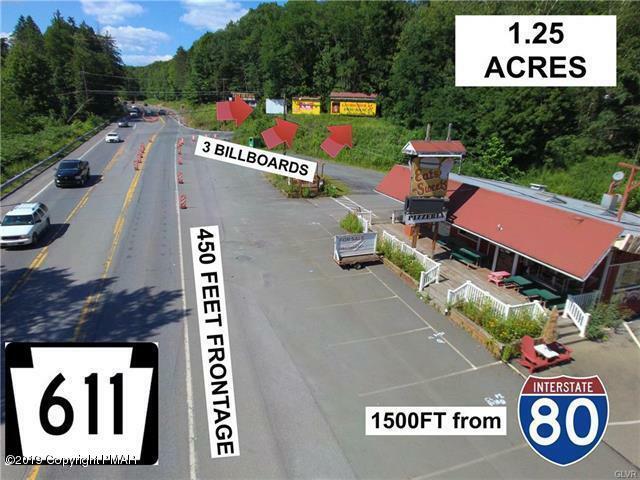 1.25-ACRE corner lot w/ 450FT+ FRONTAGE on main artery Route 611 only 1500' from the Interstate 80 Scotrun on/off ramp. 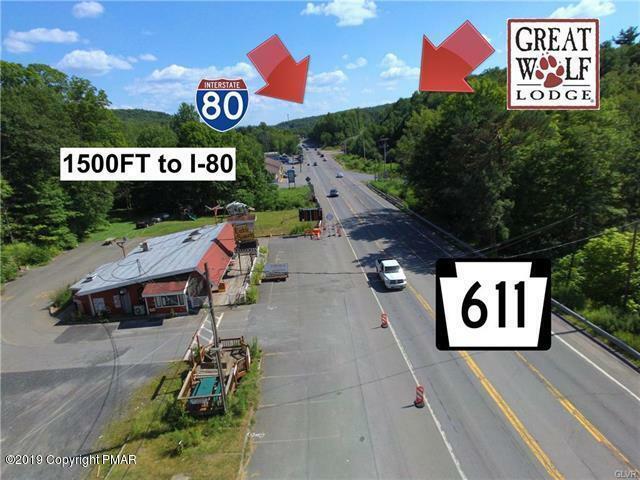 Attracting over 75,000 cars per day & rising, this commercially zoned property is in a prime location & surrounded by heavily trafficked Pocono area businesses, The Crossing Premium Outlet Mall, state parks, casinos, lake communities, PA's best ski resorts like Camelback & top-rated water parks, specifically w/in eyesight of Great Wolf Water Park & near Kalahari/Aquatopia. 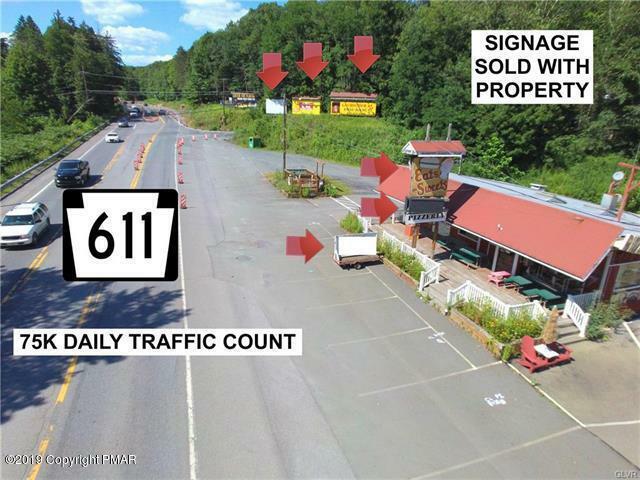 Currently utilized as a turn-key restaurant with a permitted drive-thru lane, restaurant license, 2 driveway entrances, 3 large revenue generating BILLBOARDS & an artesian water well available w/ purchase.